Complaints range from not having a personal light and TV switch, censored phone calls, “screaming” prison mates and cold coffee. THE MAN CONVICTED of murdering 77 people in a bomb blast in Oslo and a shooting spree on the island of Utoya in July last year, has complained about his prison conditions in a 27 page letter. According to the Norwegian tabloid Verdens Gang (VG) who read the letter, the mass murderer’s complaints range from having to go through “degrading” naked security checks daily, censored phone calls, noisy and “screaming” prison mates and “unwelcoming” officers. The 33-year-old also complains about his light and TV switch being located outside his cell so that he must ask the guards for help and sometimes it takes them up to “40 minutes” to respond. Breivik said he is also under constant “pressure” when shaving and brushing his teeth because he is being watched by officers, his cell is too cold and he has to drink his coffee cold. He says he has no social interaction or activities and that his outgoing mail has been stopped, so he has called for access to video games, amongst other things. A rubber pen he has been given to study with is “useless” he says because it causes his hand to get sore which he believes to be a great problem as he wants to continue with his writing in the next few decades. Since it’s an ongoing thing we cannot comment on it until we get accounted for overall level, and given the prisoner a response. Breivik is serving a minimum 21-year sentence for the killings and is being held in almost complete isolation 23 hours a day at Ila prison outside Oslo. 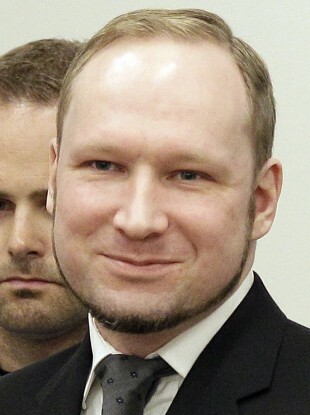 Email “Anders Behring Breivik complains about “sadistic” Norwegian prison conditions”. Feedback on “Anders Behring Breivik complains about “sadistic” Norwegian prison conditions”.